For further information and to book your event please take a look at our price list dedicated to these events. Lordswood Leisure Centre offer a range of catering options to suit all needs. – Bring your own food for a small fee of £75. Lordswood Leisure Centre have a vast array of on-site extras to further enhance your function and remove the worry of many external sources. Lordswood Leisure Centre are glad to recommend some external suppliers to help you get the very best for your celebration. Our recommended suppliers have shown their talents and professional approach at many different events at our venue. All of the suppliers have also been backed up with excellent feedback from the clients. Lordswood Leisure Centre houses 3 separate function suites each with their own bar, keeping everything in room! Why not hire our DIY DJ Booth? You simply provide the music and we’ll provide our DIY DJ Booth. On-board is a CD/USB player but it is also equipped with a 3.5mm standard headphone jack so that your phone/iPod/Laptop etc can be plugged straight in! There’s also some fantastic lighting effects built in that react to the sound of the in-built speakers. 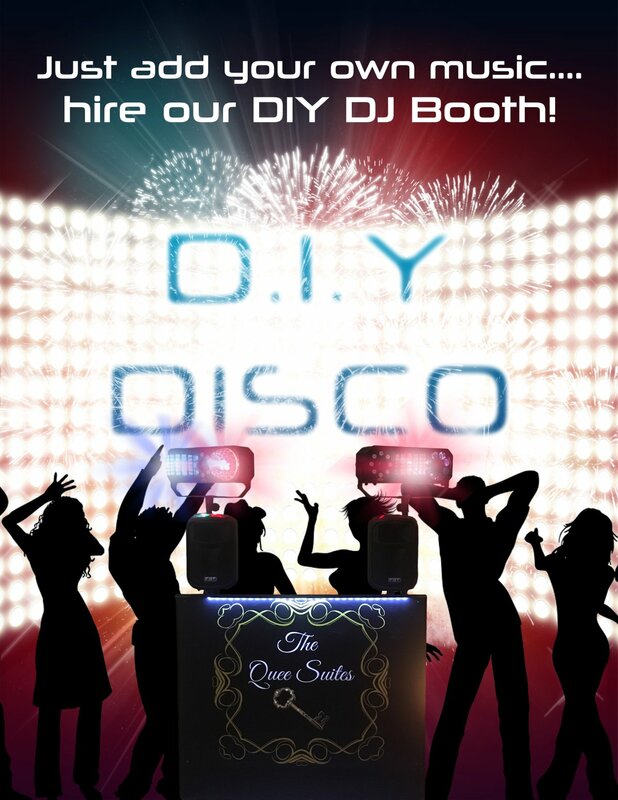 Hire the DIY DJ Booth for your next party – Just £50!